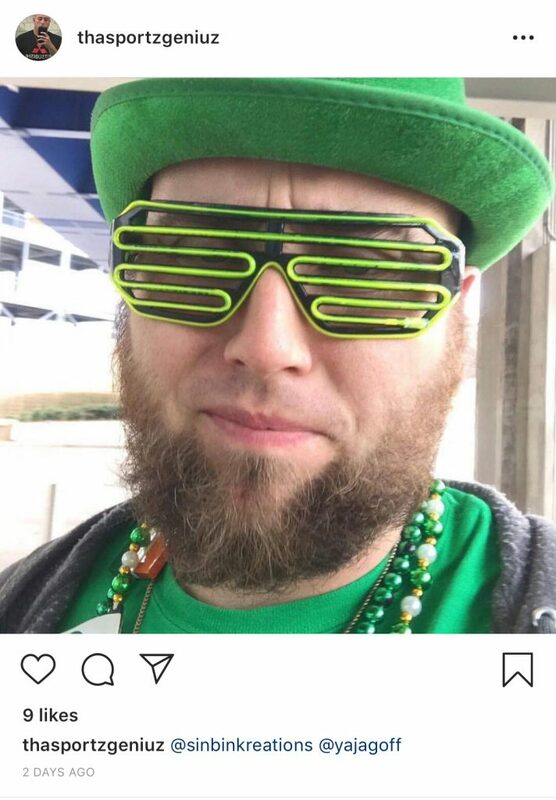 Summary: When St. Patty’s Day rears its head, an O’ is simply added to the beginning of names to enjoy being Irish for the day. 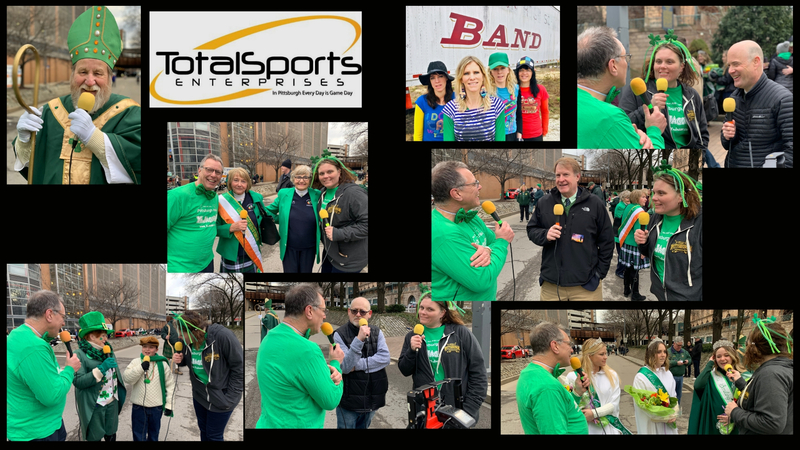 The legit Irish jagoffs snagged some Irish and non-Irish interviews starting with St. Patrick himself, Rich O’Malley, Dan Fisher, creator and emcee of game show Burst Your Bubble, parade staple and resident leprechaun Peggy Harkins and Sean. Then we court the court! Yep, a visit from Miss Smiling Irish Eyes and her Court, Maggie Byrnes, Anne Garvey and Erin Joyce. Rach’s BFF the #ACE, Rich Fitzgerald, fan faves from last year, Maggie and Eileen Cloonan and Irish royalty with Jim Rooney all join us. Special thanks to float sponsor Sinbin Kreations! Press the PLAY BUTTON below to listen to the podcast right here! Don’t see the PLAY BUTTON above in your email, click the one below to be listen while you get ready for Spring! Question of the day: It is not quite Blizzard of ‘93 material, but not much sun, so how do you keep warm on parade day? 3:49 Rich O’Malley (St. Patrick): This leading lad is the face of the parade and had aspired to fill the saintly shoes so much that he studied the St. Patrick before him to become the gent in the cloak with the staff who kicks off the parade. 7:22 Dan Fisher: Though not a lucky Irishman, a creative game show man indeed. This comedian/magician is hosting a gameshow, Burst Your Bubble, at the Parkway Theater in McKees Rocks this weekend where questions are asked and the loser determines the winner…better yet the show is FREE! Now that is lucky! Plus, freebee question on the podcast, who got the iconic Seinfeld question correct? 13:53 Peggy and Sean: This grandmother/grandson duo dishes Irish style, cooking and how the leprechaun lost balance in her specialty shoes in previous years. Hear some of their memories while preparing to march in their 30th year of the parade. 19:11 Miss Smiling Irish Eyes Court: The trio that makes up parade royalty discusses the awe of ladies before them to have fit their crowns. Specifically, they detail the community service and community and church dedication that landed them on the prestigious court. 25:36 Allegheny County Executive, Rich Fitzgerald: His name alone defines the essence of the parade because, as #ACE puts it, tradition and pride fills the parade with generations of people Irish, and non-Irish, celebrating heritage. 31:48 Maggie and Eileen: After talking about the Irish sisters being our highlight of last year’s podcast leading up to the parade, we got a surprise visit from Maggie and Eileen who wished us well in Irish brogue and dared us to visit Spain with them…kinda…..and guess what Maggie suggested we wear? 33:35 Jim Rooney: Peggy may be celebrating 30 years in the parade, but Mr. Rooney reminds us that this year marks a decade since the late Mr. Rooney was named Ambassador to Ireland. He echoes the county executive that tradition and celebration of heritage is key to this parade. In typical humble Rooney fashion, Jim declares that his family is not royalty, rather an example of dedication and determination. During the parade, we did an Instagram Contest to win a grill set from SinBin Kreations and a YaJagoff T-shirt. The winning pic is below. SportzGeniuz email Rachael@YaJagoff.com, subject line, Parade Prize with mailing address. Previous articleGreen Beer or Antonio Brown’s Blonde Mustache? Four Wheel Vehicles On Icy Roads?????? ?